Creator Will Nolan and producer Wayward Creatives have announced that Leola’s Lady Land! returns to The Green Room 42 (570 Tenth Ave, 4th Floor inside YOTEL) on Thursday, April 11 at 7.00pm for the next show in her 2019 residency at the venue. Written and performed by Nolan, each edition of Lady Land! is a healing sermon from Leola, your favorite Kelly Clarkson-worshipping, senior citizen, redneck lesbian who is on a mission to serve up some much-needed national group therapy, one audience at a time. On April 11, Leola goes Deeper Into Lady Land! to explore the Gospel according to Kelly Clarkson. This edition of the show is a celebration of the second coming – Ms. Clarkson’s birth – from the perspective of a simple gal of 72 who began to discover her sexuality when she tumbled out of the closet and into the arms of Jesus’s little sister, Kelly. “Some people are called to slice meat at the Piggly Wiggly deli counter, some people are called to preach the good word of Kelly Clarkson – I’m that rare breed of senior citizen, redneck lesbian who’s called to do both,” said Leola. “Mama Earth and all her babies desperately need some healin’ during these messy times we are livin’ through. And no place is messier than New York City. On April 11, we are going to reconnect with ourselves, reconnect with each other, and find our inner American Idol. Because in the words of Kelly Clarkson, what doesn’t kill you makes you stronger. Except for gators. Gators will kill you. Tickets are $15-40 and available by visiting bit.ly/LADYLAND. Leola’s residency continues throughout 2019 on June 13th, September 12th, October 24th and December 5 that 7.00pm. WILL NOLAN (Creator)hails from Atlanta, but has been in the New York City area since 1994. A performer, writer and director, Will spent several years as the male half of the sketch comedy duo Naked Dog Walking, giving birth to Leola. Will continues to perform as part of the highly successful Mortified series in New York. He’s had pieces published and animated for Mortified, and filmed a pilot for Comedy Central. Check out his animated monologue on YouTube. Besides writing for Naked Dog Walking and Mortified, Will has written numerous plays, including When the Mayonnaise Goes Bad with Stephen Kaplan. His plays have been produced throughout New York City. He is a husband and father living in Northern New Jersey, and is a proud member of the Dramatist Guild of America. WAYWARD CREATIVES (Producer) is a producer and incubator of emerging creatives in live performance and film. Visit WaywardCreatives.com for more information. Following its launch in 2018, the event aims to engage attendees of all genders and backgrounds in a day of open and honest dialogue about gender equality in the theatre industry and beyond, immersing participants and audience members in a series of conversations, empowering each attendee to drive change and make an impact. 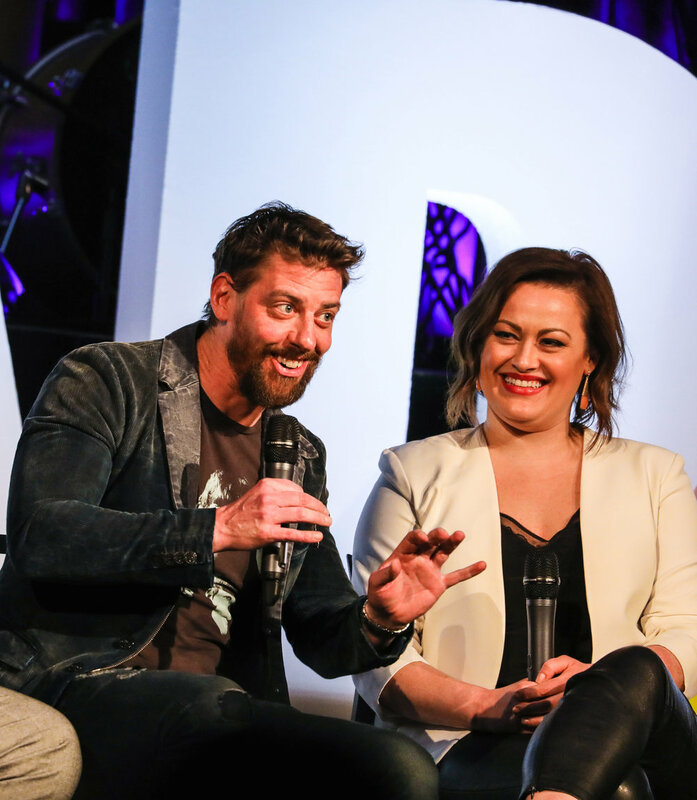 This year’s event will focus on changemakers driving progress within the theatre and entertainment industry, highlighting ways each person can become an agent of change. The event will feature panel conversations and a variety of speakers and presentations. “Women’s Day on Broadway” will be held on Tuesday, March 12th, at the St. James Theatre, home of Broadway’s new musical Frozen. Disney on Broadway invites professionals of all genders and backgrounds working in entertainment and those interested in the topic to attend the event free of charge. For more information and to reserve your free general admission seat and to see content from last year’s event, visit the new home for Women’s Day on Broadway,www.womenofbroadway.com. Specifics for the event will be provided at a later date. 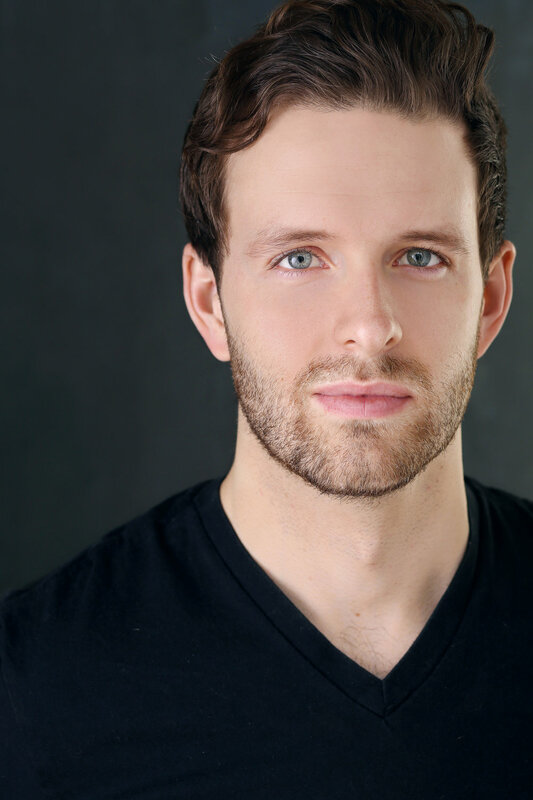 As it approaches its first anniversary, Frozen is pleased to announce that Joe Carroll (Once, Rodgers + Hammerstein’s Cinderella, Bandstand) and Ryann Redmond (Bring It On The Musical, If/Then) will join the company as Hans and Olaf, respectively, and current cast member, Noah J. Ricketts will assume the role of Kristoff. The three actors will begin performances Tuesday, February 19, 2019, taking over the roles from original cast members Jelani Alladin (Kristoff), Greg Hildreth (Olaf) and John Riddle (Hans), who will play their final performance Sunday, February 17, 2019. Frozen’s acclaimed original stars Caissie Levy (Elsa) and Patti Murin (Anna) will continue with the production. Ms. Redmond’s casting marks a milestone: She is the first woman cast as the beloved snowman Olaf in any production of Frozen. In addition to Levy and Murin, the company of Frozen features Robert Creighton (Weselton), Kevin Del Aguila (Oaken), Timothy Hughes (Pabbie), Andrew Pirozzi (Sven), Zoe Glick (Young Anna), Leila Rose Gross (Young Anna), Mimi Ryder (Young Elsa), Jenna Weir(Young Elsa), Alyssa Fox (Elsa Standby), Aisha Jackson (Anna Standby) and Adam Jepsen (Sven Alternate). Beginning February 19, the role of Sven will be shared equally by Mr. Pirozzi and Mr. Jepsen, with each actor playing four performances a week. Frozen has joined Disney Theatrical hits Aladdin and The Lion King on Broadway, playing at the historic St. James Theatre. The new Broadway musical opened on Thursday, March 22, 2018 and has been in the top 10 best-selling shows every week, establishing itself as the biggest musical hit of its season. A North American tour will open at the Hollywood Pantages Theatre in Los Angeles this fall. “Disney’s struck gold! Sumptuous sets, gorgeous costumes and plenty of special effects to wow the audience!” raves the New York Post. The New Yorker calls Frozen “thrilling” and “genuinely moving” and applauds its “inspired stagecraft.” “With the magic, the dancing and all those iconic tunes, Frozen was born to be a stage musical!” exclaims the Evening Standard, and The Telegraph declares, “Frozen will burn up Broadway for years to come! RYANN REDMOND (Olaf). Broadway: Escape to Margaritaville, If/Then, Bring It On. Television: “Younger” (TV Land). Film: Double Exposure. Off-Broadway: Usual Girls (Roundabout), Gigantic (Vineyard), The Marvelous Wonderettes. National tour: Bring It On. Regional:How to Succeed (TUTS), Hairspray (MUNY). NYU (CAP21). Twitter/Instagram: @ryannreds. Frozen, a full-length stage work told in two acts, is the first and only incarnation of the tale that expands upon and deepens its indelible plot and themes through new songs and story material from the film’s creators; in fact, this new stage production features more than twice as much music as the film. Like the Disney Theatrical Broadway musicals that have come before it, it is a full evening of theatre running over two hours. In a cast of over 40, Frozen also features Alicia Albright, Joe Beauregard, Tracee Beazer, Wendi Bergamini, Ashley Blanchet, Claire Camp, Lauren Nicole Chapman, Spencer Clark, Jeremy Davis, Kali Grinder, Ashley Elizabeth Hale, Zach Hess, Donald Jones, Jr., Nina Lafarga, Ross Lekites, Austin Lesch, Synthia Link, Robin Masella, Travis Patton, Adam Perry, Jeff Pew, Olivia Phillip, Noah J. Ricketts,Julius Anthony Rubio, Ann Sanders, Jacob Smith and Nicholas Ward. 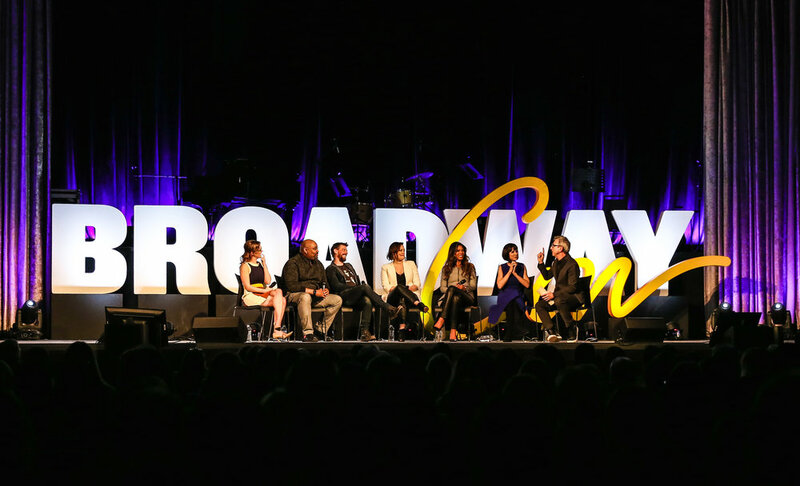 Last night (Friday, January 11, 2019) Disney Theatrical Productions hosted “Disney Theatrical at 25: The Stars Align” at BroadwayCon in Manhattan. The lively panel was made up of some of the stars who created these indelible shows and characters in their original productions. Moderated by Disney Theatrical Productions head Thomas Schumacher, the panel was a fascinating and hilarious discussion filled with behind-the-scenes stories. Panelists included Christian Borle (Tony®-winning Black Stache in Peter and the Starcatcher), Ashley Brown (title role in Mary Poppins), Merle Dandridge (Kala in Tarzan), Susan Egan (Belle in Beauty and the Beast), James Monroe Iglehart (Tony-winning Genie in Aladdin), and Patti Murin (Anna in Frozen). DISNEY THEATRICAL PRODUCTIONS, a division of The Walt Disney Studios, was formed in 1994 and operates under the direction of Thomas Schumacher. Worldwide, its 10 Broadway titles have been seen by over 160 million theatergoers and have been nominated for 62 Tony®Awards, winning Broadway’s highest honor 20 times. With more than 20 productions currently produced or licensed, a Disney musical is being performed professionally somewhere on the planet virtually every hour of the day. The company’s inaugural production, Beauty and the Beast, opened in 1994. It played a remarkable 13 year run on Broadway and has been produced in 37 countries worldwide. In November 1997, Disney opened The Lion King, which received six 1998 Tony Awards including Best Musical. After 21 landmark years on Broadway, it has welcomed more than 95 million visitors worldwide to date, and can currently be seen in nine productions worldwide. Having played 20 countries on every continent except Antarctica, The Lion King’s worldwide gross exceeds that of any film, Broadway show or other entertainment title in box office history. Elton John and Tim Rice’s Aida opened on Broadway next, winning four 2000 Tony Awards. It was followed by Mary Poppins, a co-production with Cameron Mackintosh, which opened in London in 2004 and went on to enjoy a six year Tony-winning Broadway run. Tarzan®, which opened on Broadway in 2006, went on to become an international hit with an award-winning production enjoying a 10-year run in Germany. In January 2008, The Little Mermaid opened on Broadway and was the #1-selling new musical of that year. Disney Theatrical Productions opened two critically acclaimed productions on Broadway in 2012, receiving seven Tony Awards between them:Peter and the Starcatcher and Newsies, each of which enjoyed a two-year run with the latter launching a two-year North American tour and a record-breaking Fathom Events’ in-cinema release. Aladdin, Disney Theatrical’s 2014 hit, continues selling out on Broadway and has launched five additional productions around the globe. Its newest hit, the 2018 Tony-nominated Best Musical Frozen, continues setting records in its Broadway run. Other successful stage ventures have included the Olivier-nominated London hit Shakespeare in Love, stage productions of Disney’s High School Musical, Der Glöckner Von Notre Dame in Berlin, and King David in concert. DTP has collaborated with the country’s leading regional theatres to develop new stage musicals including The Jungle Book, The Hunchback of Notre Dame and Freaky Friday. BroadwayCon is theatre’s answer to comic-con, tailor made for fans. From January 11-13, 2019, join some of Broadway’s biggest fans, performers, and creators from classic and current shows as we gather at the Hilton Midtown to perform, discuss, debate, and celebrate theatre. 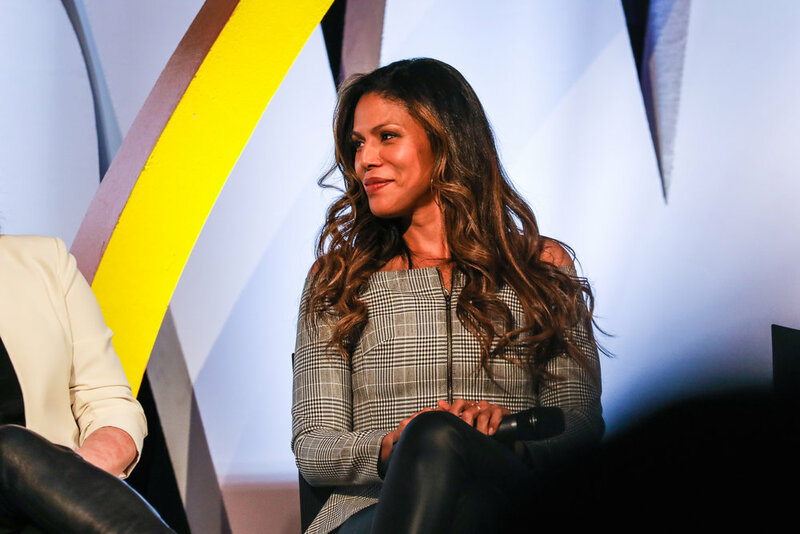 BroadwayCon 2019 will feature panels, performances, interviews, workshops, singalongs, and more, all packed into an epic three-day weekend. Past panels have included previews from upcoming Broadway shows, conversations with the casts and creatives of this season’s hits, and discussions featuring the industry’s top producers and designers, not to mention the giant Opening Celebration and nighttime fun and games. BroadwayCon is produced by Mischief Management. 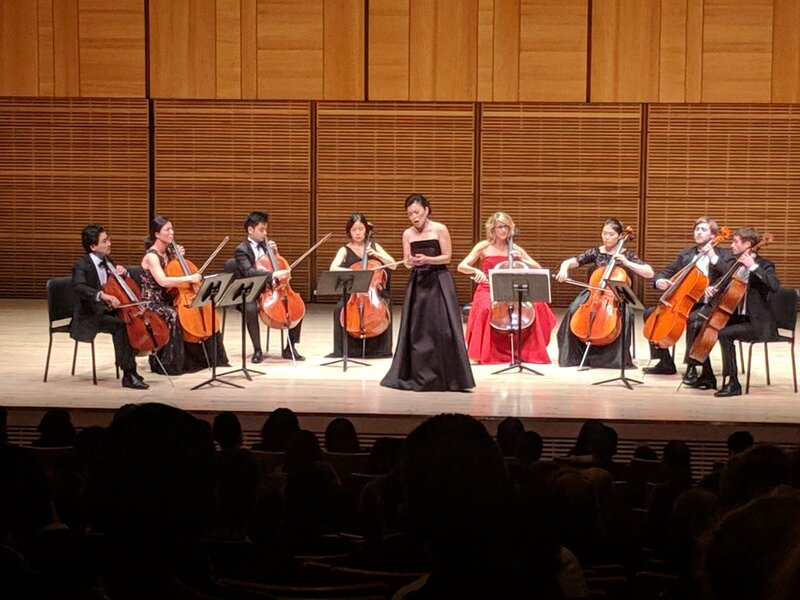 Sejong Soloists presented their Annual Gala Concert to a sold-out audience, featuring music from Vivaldi to contemporary. The musical theme was peace and hope, and guest artists included wind and brass faculty members from the Juilliard School and Curtis Institute. Vivaldi’s Chamber Concerto in C Major opened the concert. The virtuoso soloists were Sooyun Kim, flute, Roni Gal-Ed, oboe, Adrian Morejon, bassoon, and Stephen Kim, violin. Composer Augusta Read Thomas talked about her Plea for Peace, a 2017 commission by the University of Chicago to commemorate the 75th Anniversary of the world’s first nuclear reactor. Sejong Soloists and soprano Hyunah Yu gave a powerful, gut-wrenching performance. TV journalist Paula Zahn, a long-time supporter of Sejong Soloists, was this year’s Honoree. Nine-time Emmy Award winner and co-host of WNET’s weekly program “NYC Arts” Ms. Zahn’s joined the orchestra 18 years ago as Gala Master of Ceremonies. Special guest Neal Shapiro, WNET President, highlighted Zahn’s dedication to Sejong and to the arts, her financial support, and her humanitarian causes. 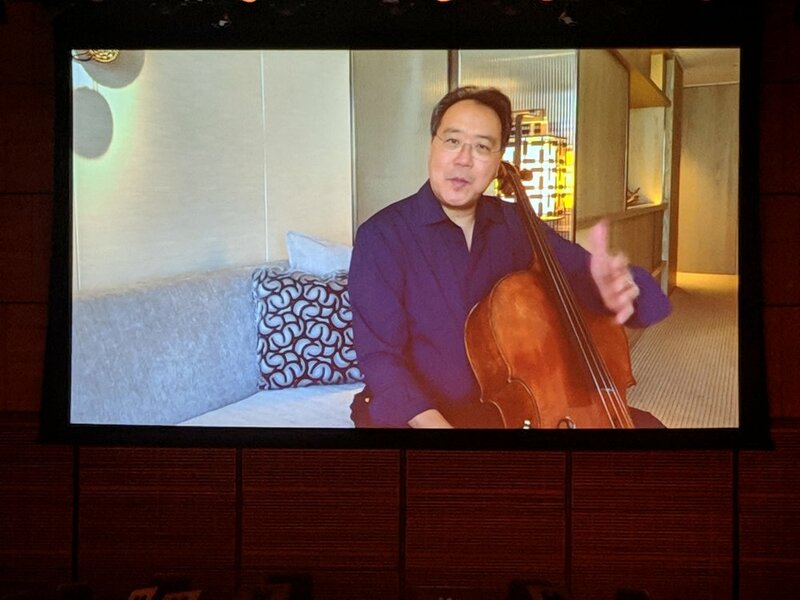 Yo-Yo Ma sent a video greeting with spoken tribute and brief Bach performance, which was shown to the audience. The glorious Baltimore-based soprano Hyunah Yu, who performed the Plea for Peace vocalise, joined Paula Zahn and the Sejong cellists for the Aria from Villa-Lobos Bachianas Brasileiras No. 5. This was followed by A Poem of Hope, concertino for cello and strings, written by New York composer Eric Ewazen in 2007 and dedicated to Paula Zahn, who performed the solo. An accomplished cellist, her performances have become a tradition at Sejong’s gala concerts. Finally, the Wagner Siegfried Idyll closed the program. The audience of friends, music lovers, and supporters included distinguished members of the diplomatic community from the United Nations. Ambassadors from 15 nations: Albania, China, Cyprus, Guatemala, Hungary, Italy, Lebanon, Mexico, New Zealand, Paraguay, Russia, South Korea, Tunisia, Uruguay, and Uzbekistan. Hailed as “one of the top ensembles of today” by CNN, Sejong Soloists is a first-class string orchestra renowned for its exceptional dynamic style, with ranges of quartet-like precision to full orchestra resonance. Founded by Hyo Kang, artistic director, it is highly praised for its diverse performances, documentaries, television broadcasts, and recordings. Sejong Soloists has performed in over 120 cities around the world, collaborating with renowned solo artists, such as violinists Gil Shaham, Vadim Repin, pianists Leon Fleisher and David Fray, Vladimir Feltsman, and singers David Daniels, Christophe Dumaux, Kathleen Kim, and Sasha Cooke. In March 2018 Sejong Soloists was presented with Vadim Repin in Moscow and Siberia by the Trans-Siberian International Art Festival. This was followed by Hic et Nunc International Festival in South Korea, and a Hong Kong debut. Founded over twenty years ago, Sejong has a deep commitment to advancing the artistry and leadership of its members, with successful results. 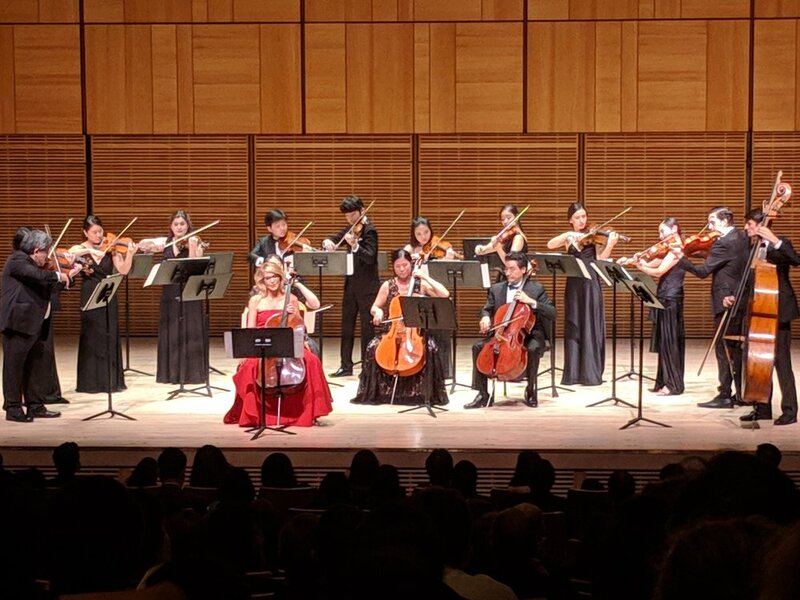 Currently, eight former Sejong leaders and soloists hold concertmaster positions throughout North America including the NY Philharmonic and the Metropolitan Opera Orchestra. Sejong’s highly-praised documentaries, television broadcasts, recordings, youth development activities, as well as philanthropic endeavors worldwide are integral to the mission of this unique orchestra. 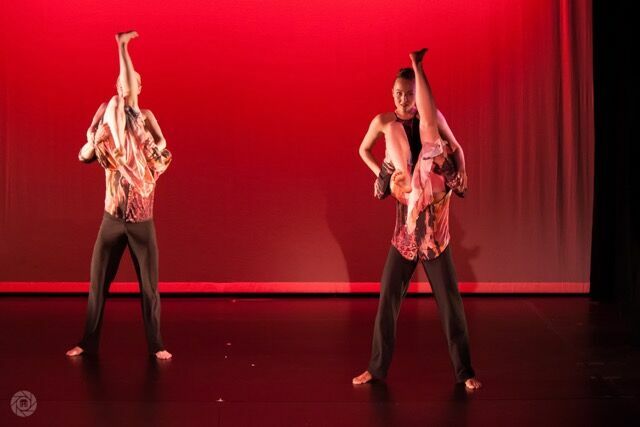 The West Side YMCA Community Arts Department and Amanda Selwyn Dance Theatre present FOOTPRINTS: A Modern Dance Festival, May 19-21, 2016 at 7:30pm, at the Marjorie S. Deane Little Theater. This second annual dance festival will celebrate innovative works of contemporary dance from diverse new and established voices in NYC dance. FOOTPRINTS will feature the following works:Dreaming into Being by Lillian Stamey and 96b; It is You, and You, and You by Jin-Wen Yu; Shaft Medley by Sue Samuels and Jazz Roots Dance Company; Untitled by Alana Marie Urda and Amalgamate Dance Company; EVO by Winnie Berger and Mook Dance Project; and Refuge by Amanda Selwyn Dance Theatre. Performances will take place Thursday, May 19, 2016 through Saturday, May 21, 2016 at 7:30pm in the Marjorie S. Deane Little Theater at the West Side YMCA, 5 West 63rd St, NY, 10023. Tickets are priced at $15 for all premium and regular seats, $10 for Students/Children, and $10 for YMCA NYC Members. To purchase tickets, visit https://web.ovationtix.com/trs/pr/957283. 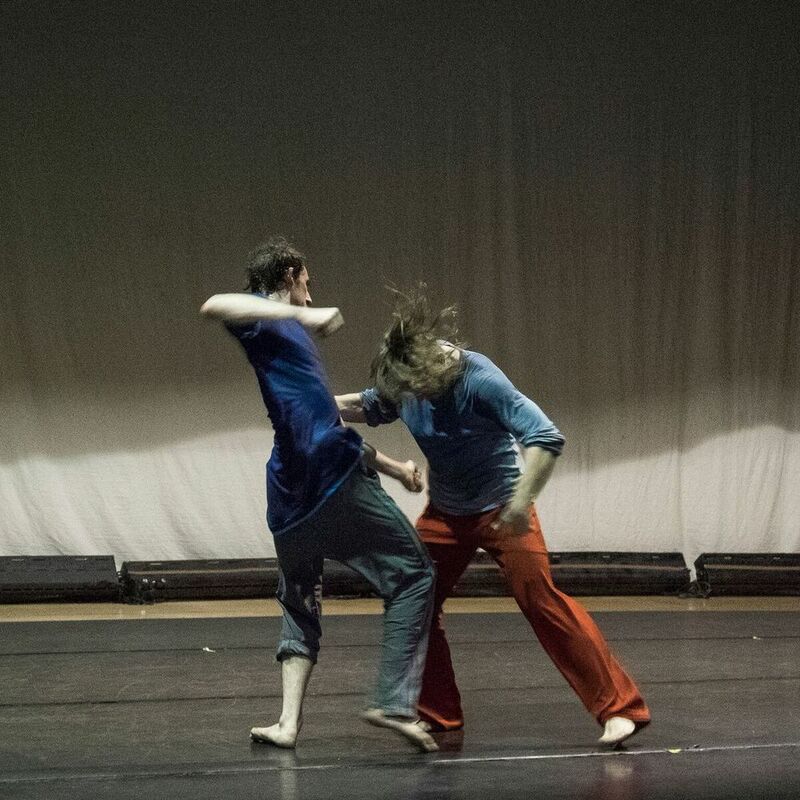 VIM VIGOR DANCE COMPANY presents the World Premiere of Separati at Gelsey Kirkland Arts Center, 29 Jay Street, Brooklyn, NY, from January 28-30, 2016. Performances: Thurs-Sat at 7:30pm. Tickets are $25 for general seating and are available at http://vimvigorgka.bpt.me/. Separati, a new work by Shannon Gillen, in collaboration with the performers, features dancers Jason Cianciulli, Martin Durov, Laja Field, Lavinia Vago, and Emma Whiteley, set to original scores by Martin Durov in collaboration with Gillen, with costumes by Joey Blaha, set design by JC Machine and Tool company, and lighting design by Barbara Samuels. The running time is 60 minutes. Separati enters the turbid psychic space of highway travel and anonymous companionship. Caught up at a midway point, five characters travel through the past, present and dark hallucinatory projections of the future. Stilled periods of waiting juxtapose wild physical bouts of surreal movement, as reality gives way to the imagination. What is the distance between where we have come from and where we want to go? Between what happens to us and who we are? Can the space between bodies and ideas ever be joined? And if not, can we exist in the middle ground of separation? Separati was co-commissioned by New Jersey Dance Theatre Ensemble's AiR® 2015 Program, a residency providing artists with an incubator for collaborative exchange. Brooklyn Center for the Performing Arts at Brooklyn College presents Step Afrika! Brooklyn Center for the Performing Arts at Brooklyn College continues its 2015-16 season on Saturday, January 23, 2016 at 2pm with Step Afrika! The dancers of Step Afrika! use their bodies as instruments, combining traditional step choreography with other styles including tap, modern, and hip hop to create an enthralling, high-energy performance. Opening for the company will be the award-winning, Brooklyn-based step group Regime. Tickets are $20 and can be purchased at BrooklynCenter.org or by calling the box office at 718-951-4500 (Tue-Sat, 1pm-6pm). As an art form, stepping is an important part of America's artistic and cultural heritage. 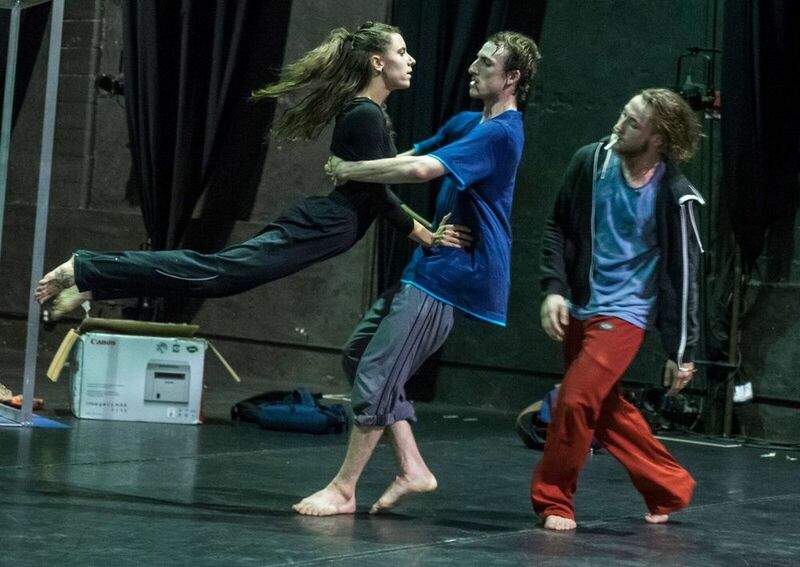 In stepping, the body is used as an instrument to create intricate rhythms and sounds through a combination of footsteps, claps and the spoken word. It is based on a long and rich tradition in African-based communities that uses movement, words and sounds to communicate allegiance to a group. It draws movements from African foot dances, such as Gumboot, originally conceived by miners in South Africa as an alternative to drumming, which was banned by authorities. The stepping tradition in the United States grew out of song and dance rituals practiced by historically African American fraternities and sororities, beginning in the early 1900s. Today, stepping is not only practiced on college campuses; it can also be found in schools, churches, and community organizations around the country. The form is also spreading its wings to new venues and participants, such as Latino and Asian American Greek-letter organizations. Amanda Selwyn Dance Theatre presents the annual White Night 2016 - Costumes and Cocktailson Thursday, January 28, 2016 at 6:30 pm at 401 East 34th Street, 2nd floor, NYC, 10016. White Night 2016 will celebrate and honor long-time collaborator Anna-Alisa Belous and the many designs she has created for Amanda Selwyn Dance Theatre. The evening will include delicious food and drink, live dance performance, live music, a fashion show, a wine auction, giveaways, and much, much more. Regular tickets are $75, and Patron tickets are $150, and are available at http://amandaselwyn.notesinmotion.org/?event_code=116. The attire will be white and black festive attire. At White Night 2016 - Costumes and Cocktails, Amanda Selwyn Dance Theatre will preview a new developing work, Refuge. 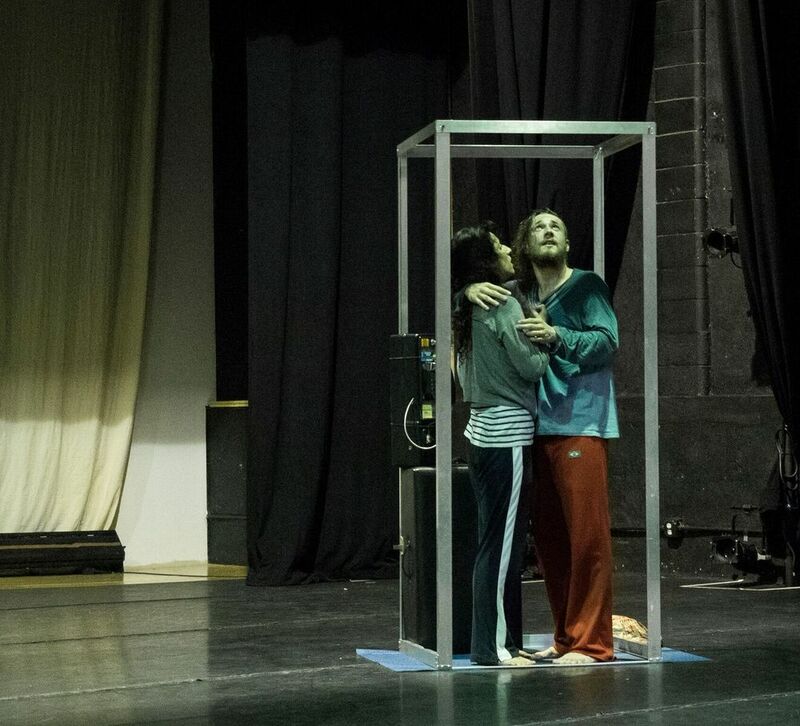 Refuge will develop into an evening-length dance theatre piece that embodies the drama of solitude, the power of connection, the quiet and the noise of the self and the other. Inspired by Francesco Clemente's Encampment, Refuge will magnify humanity through character, relationships, and motif. Selwyn will develop this work throughout 2016 and early 2017, with open rehearsals, studio performances, and work-in-progress showings at NYC public schools in partnership with our arts education arm. Refuge will include Six dancers; costumes, scenery, and props designed by Anna Alisa Belous; sound design by Joel Wilhelmi; projection design by Zachary Ludescher; and lighting design by Dan Ozminkowski. The choreography and production design will explore isolation and inner reflection. When seeking personal refuge, we go deep inside ourselves and begin an internal journey of transformation and enlightenment. Selwyn will translate this personal journey into a vocabulary of immediate, athletic, sensuous, and raw movement that has come to define her work. The piece will include a progressive series of solos and duets punctuated by group sections that magnify the personal experience into a shared one. New York Theatre Ballet will perform Keith Michael's The Nutcracker from December 11-13, 2015 at Florence Gould Hall, 55 East 59th Street, NYC (between Park and Madison Avenues). Performances are Friday at 12pm; Saturday at 11am, 1pm, and 3:30pm; and Sunday at 11am, 1pm, and 3:30pm. Tickets are $24 for children 12 and under and $34 for adults, and are available online at www.nytb.org, via Ticketmaster at (800) 982-2787, or in person at the Florence Gould Hall box office at (212) 355-6160. For group sales: 212-679-0401 or email groups@nytb.org. New York Theatre Ballet (NYTB) returns for a fifth year of Keith Michael's The Nutcracker, an enchanting holiday ballet. From clockwork imps to a luminous owl that flies above the audience, mice dressed in polka dots and dancers dancing with huge chopsticks, this timeless re-imagined classic bursts with energy and excitement. This holiday ballet, danced to Tchaikovsky's beloved score, is set in Art Nouveau style circa 1907 with innovative choreography by long-time NYTB choreographer, Keith Michael, set design by Gillian Bradshaw-Smith, and costumes by Metropolitan Opera's Resident Costume Designer Sylvia Taalsohn Nolan. This one-hour ballet is perfect for ages 3 and up! Ballet School NY, the official training school of New York Theatre Ballet, is pleased to announce its 2015-16 training program, beginning Monday, September 21, 2015 at NYTB's home studio, located at St. Mark's Church-in-the-Bowery, 131 E. 10th Street, 2nd Floor, New York City. Classes will be offered Monday through Saturday. Cost ranges from $1,075 to $3,940 per year, depending on the age and level of the student. An annual recital on June 11, 2016 will conclude the 2015-16 training program. Qualified children will perform with New York Theatre Ballet throughout the year in special roles created for student dancers. The studio trains in the Cecchetti method, a technique founded by Italian ballet master Enrico Cecchetti. The school teaches dance as a total art form, developing strong technical skill and discipline. Following the Cecchetti syllabus, classes emphasize music, theatricality, gesture and style. Well-trained Cecchetti dancers have purity of line and simplicity of style, which enables them to take their place in dance companies throughout the world. For the advanced students, a once-a-week workshop is part of the curriculum. 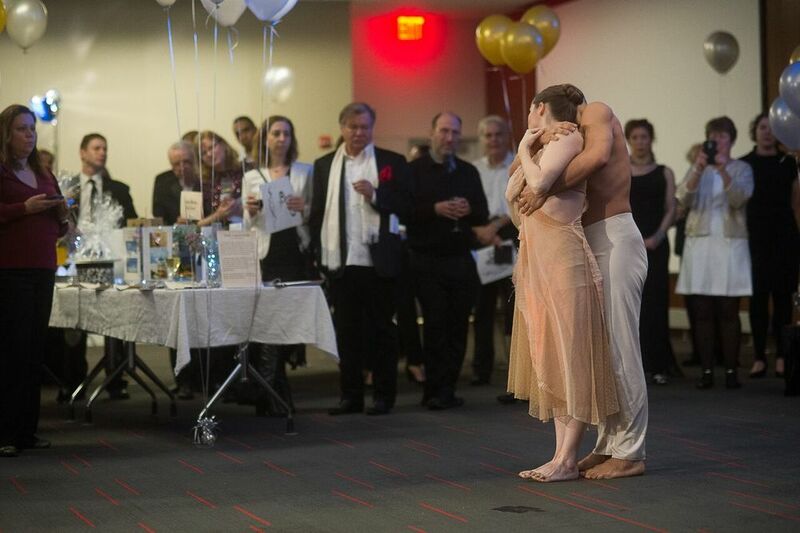 Offerings, including jazz, theater dance, modern dance, partnering, change every six weeks. "There is always a teaching assistant in every class and we teach to the individual child," said Diana Byer, Founder and Artistic Director of NYTB. "Every child gets personal attention in each class." 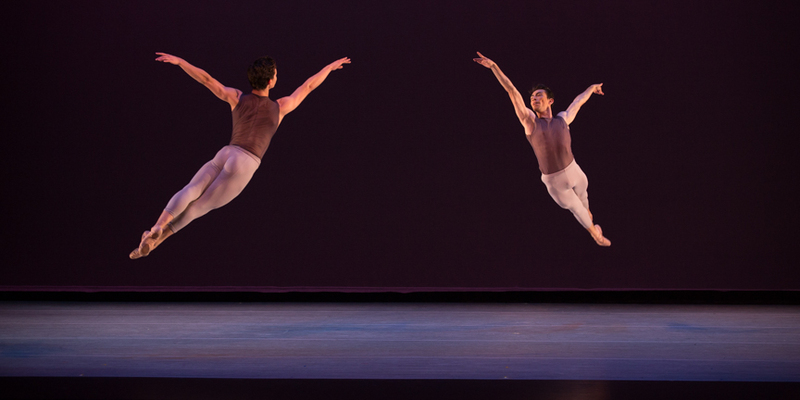 The Company's 2015/2016 season will include repertory performances at the Schimmel Center Pace University (September 19-20, 2015), Danspace (October 1-3, 2015), and New York Live Arts (February 24-27, 2016). NYTB maintains its association with the New York Pops at Carnegie Hall (December 20, 2015), and the Company's Once Upon A Ballet series for children will continue at Florence Gould Hall throughout the year. NYTB will also continue to offer its Free Ticket Program for families who are unable to afford to attend performances. For registration and more information, visit www.nytb.org/ballet-school-ny. New York Theatre Ballet announces the 2015-16 season, which will include repertory performances at Schimmel Center at Pace University (September 19-20, 2015), Danspace Project (October 1-3, 2015), and New York Live Arts (February 24-27, 2016). NYTB maintains its association with the New York Pops at Carnegie Hall, and the Company's Once Upon A Ballet series for children will continue at Florence Gould Hall throughout the year. NYTB will also continue to offer its Free Ticket Program for families who are unable to afford to attend performances. New York Theatre Ballet brings fresh insight into classic revivals paired with the modern sensibilities of both established and up-and-coming choreographers. Featured choreographers include Merce Cunningham, Nicolo Fonte, Agnes deMille,and Pam Tanowitz. Cinderella, a perennial favorite of NYTB audiences, features a dancing clock, two wacky stepsisters, and everyone's favorite rags to riches princess. This enchanting story, with choreography by Donald Mahler, set design by Gillian Bradshaw-Smith, and costumes by Resident Costume Designer of the Metropolitan Opera, Sylvia Taalson Nolan, will delight the whole family. New York Theatre Ballet performs a mixed bill at Danspace Project featuring Two Timing, Cross Currents, and Lois Bewley's PiR2.Based on Steve Reich's Clapping Music, Two Timing is choreographed by David Parker with costume designs by Pei-Chi Su and lighting design by Serena Wong. Merce Cunningham's Cross Currents is set to music by Conlon Nancarrow with lighting design by Beverly Emmons. These performances are presented through Community ACCESS, which provides subsidized off-season rental opportunities for Danspace Project community members. New York Theatre Ballet (NYTB) returns with Keith Michael's The Nutcracker, an enchanting holiday ballet. From clockwork imps to a luminous owl that flies above the audience, mice dressed in polka dots and dancers dancing with huge chopsticks, this timeless, re-imagined classic bursts with energy and excitement. This holiday ballet, danced to Tchaikovsky's beloved score, is set in Art Nouveau style circa 1907 with innovative choreography by long-time NYTB choreographer, Keith Michael; set design by Gillian Bradshaw-Smith; and costumes by Resident Costume Designer of the Metropolitan Opera, Sylvia Nolan. Ages 3-9. New York Theatre Ballet joins Steven Reineke, The New York Pops and John Bolton bringing holiday spirit to Manhattan with classic tunes from Charles M. Schulz's hit franchise. New York Theatre Ballet returns to New York Live Arts with its highly acclaimed Legends & Visionaries series. The program includes a world premiere choreographed by San Francisco choreographer Milissa Bradley and former New York City Ballet dancer Antonia Franceschi to live accompaniment of Piano Etudes by Philip Glass. NYTB will also present a revival of Jerome Robbins' Antique Epigraphs, which had its premiere on February 2, 1984 at the New York State Theater. The performance will feature original lighting design by Jennifer Tipton, and original costume design by Florence Kotz. The return of Richard Alston's Such Longing, with music by Frederic Chopin, will conclude the evening. New York Theatre Ballet brings The Alice-in-Wonderland Follies with choreography by Keith Michael to 92Y! Follow Alice's adventures through Wonderland as she meets some of the most beloved characters in children's literature. Brooklyn Center for the Performing Arts at Brooklyn College is pleased to announce its 2015-16 World Dance series. Since the inception of the dance series in 1966, more than 175 regional, national and international companies have premiered new works as a part of this series. This year's lineup includes Step Afrika! featuring stepping dancers led by the artistic director Mfoniso Akpan, Nai-Ni Chin Dance Company performing a Lunar New Year Celebration, and Moscow Festival Ballet's Romeo and Juliet / Carmen Suite.These companies reflect the artistic excellence and cultural diversity to which Brooklyn Center is dedicated. Tickets to Brooklyn Center's World Dance series range from $20-$45 and can be purchased at BrooklynCenter.org or by calling the box office at 718-951-4500 (Tue-Sat, 1pm-6pm). Brooklyn Center will also present an annual presentation of Dance Theatre in Westchester's family-friendly The Colonial Nutcracker. An annual holiday favorite, Dance Theatre in Westchester performs its family-friendly, full-length version of Tchaikovsky's ballet set in wintry colonial Yorktown, complete with a red-coated mouse army, an enchanted nutcracker prince, and simultaneous narration to help young audience members enjoy this timeless classic. Experience Step Afrika!, the world's first professional company dedicated to stepping, a unique art form born at African American fraternities and based in rich African traditions. Incorporating intricate rhythmic patterns of kicks, stomps, claps, and chants, the dancers use their bodies as instruments, creating an enthralling, high-energy performance that has been praised by The Village Voice as "a jubilation of rhythm and spirit that harks back to the essence of dancing." Brooklyn Center is thrilled to partner once again with the prestigious Nai-Ni Chen Dance Company in an all-new celebration of Chinese arts and culture commemorating the Year of the Monkey, a year characterized by cleverness, curiosity, and playful mischief. Thrilling choreography, traditional music, and dazzling acrobats showcase the rich traditions of one of Brooklyn's most vibrant communities at this festive, family-friendly event. The power of love and the finality of death collide as two of the greatest tragic masterpieces of all time are reinvented in this double-bill of one-act ballets. The program begins with a new restaging of Shakespeare's tragedy Romeo and Juliet, set to the music of Tchaikovsky and choreographed by legendary Bolshoi principal dancer Elena Radchenko. This is followed by Alberto Alonso's fiery Carmen Suite, inspired by Bizet's sensuous and spirited opera. Multibuy discounts (four or more shows) save 15% off individual ticket prices (not applicable for Alexander, Who's Not... Going to Move). Multibuyers enjoy flexible ticket exchanges and discounted parking for purchased performances. 50% discount for children ages 12 and under for select performances. Discounts also available for seniors, students, Brooklyn College faculty/staff/alumni, and groups. $10 student rush tickets available day-of-show. In Entertainment, Dance, Theater Tags Brooklyn Center for the Performing Arts, Moscow Festival Ballet, Nai-Ni Chen Dance Company, Step Afrika!, Romeo and Juliet / Carmen Suite. Manhattan Youth Ballet will hold Fall Auditions on Wednesday, September 9, 2015. Audition class schedule is Ages 7-9: 4:00-4:45pm, Ages 10-12: 4:45-6:00pm, and Ages 13 & up: 6:00-7:30pm. Dancers should arrive 30 minutes prior to their audition class. Audition fees are $30 pre-registration and $35 on day of registration. Pre registration forms are available at www.manhattanyouthballet.org. Dancers must bring a headshot and first arabesque photo. For more information, visit www.manhattanyouthballet.org. ChEckiT!Dance presents the fifth annual ChEck Us OuT Dance Festival: A Celebration of Female Choreographers, an eco-friendly evening of dance celebrating female choreographers, at Solar One on the East River, NYC. The evening will include works from more than 10 female choreographers, at various stages in their careers, from across the United States and abroad. The ChEck Us OuT Dance Festival is the culmination of all of ChEckiT!Dance's efforts to increase performance opportunities for female dance makers. This annual outdoor festival, now in its fifth year, is curated and produced by ChEckiT! Dance each July. Summit Rock in Central Park has been the home of the past four festivals. This year, the festival will be held at Solar One! on the East River. 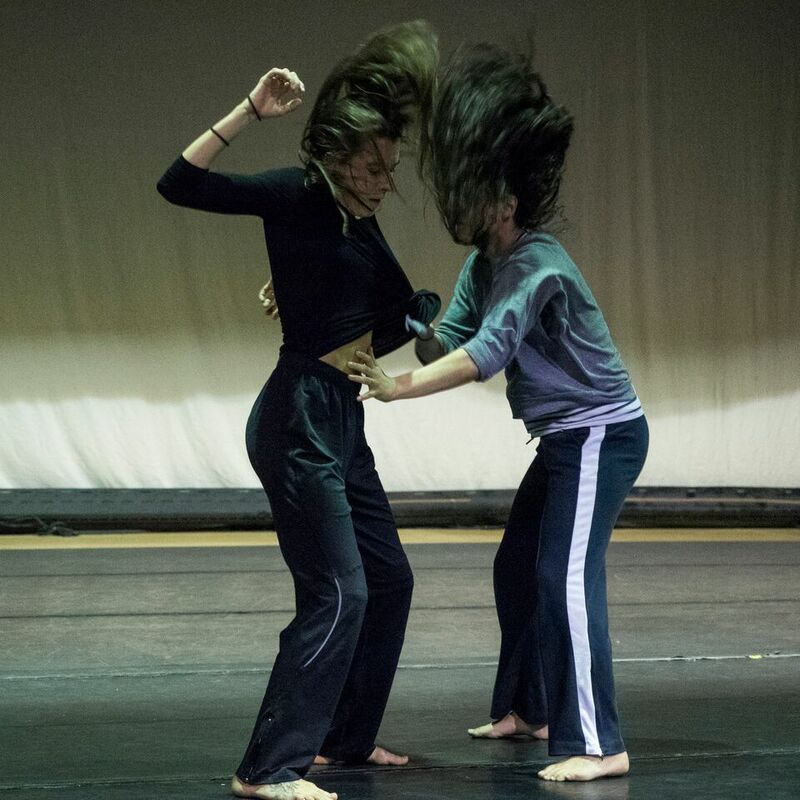 The ChEck Us OuT Dance Festival is a platform designed specifically to provide female choreographers the opportunity to share their work with an eager audience. The work is enriching, lively, and thrilling, and the eclectic styles of dance presented by performers hailing from all corners of the globe, builds a truly global community of female dance artists. In addition, the ChEck Us OuT Dance Festival is entirely green and entirely free of admission, providing access for all. For more information visit www.checkitdance.com or email checkitdance@gmail.com. Ballet Hispanico, recognized as the nation's leading Latino dance organization since 1970, will perform in the first Hudson River Dance Festival at Hudson River Park on June 17 & 18, 2015 at 6:30pm. Hudson River Park, one of the nation's longest waterfront parks and an urban oasis for New Yorkers and visitors from every corner of the world, will host the first-ever Hudson River Dance Festival, presented this summer on the Pier 63 lawn in Hudson River Park. This free celebration of NYC's premier dance culture is a rare and unique opportunity for diverse audiences to experience some of the city's most talented and acclaimed dancers and ground-breaking dance compositions and performances. The same program will be featured each evening, with Ballet Hispanico, Paul Taylor Dance Company, and Parsons Dance sharing the bill. Each company has planned engaging and distinctive programs that spotlight the cultural wealth and stylistic innovation that makes New York the epicenter of the American dance scene. The repertoire is designed to delight a broad audience, from aficionados and dance enthusiasts, to families and new audiences alike. The Hudson River Dance Festival is sponsored and presented by SHS Foundation in association with The Joyce Theater, with funding from The Gladys Krieble Delmas Foundation, and the Hudson River Park Trust. "We are thrilled to be a part of the inaugural Hudson River Dance Festival and to share our artistry with the larger New York City community," said Ballet Hispanico Artistic Director Eduardo Vilaro. "For this performance we present Sombrerísimo, a witty audience favorite that showcases the athleticism of the Ballet Hispanico Company's men and the exuberance of Latinos." Choreographed by Annabelle Lopez Ochoa and commissioned by New York City Center for the 10th anniversary of the Fall for Dance Festival, Sombrerísimo is an absorbing exploration of identity. The piece references the surrealist world of the Belgian painter René Magritte, famous for his paintings of men in bowler hats. "Celebrating our City's culture, and keeping the arts-especially dance-accessible and relevant for all New Yorkers is at the heart of what we do at SHS," said Richard Feldman, President of the SHS Foundation. "We are excited to bring these iconic dance companies and their talented artists to Hudson River Park, which showcases so many quality events each summer." The Hudson River Dance Festival is part of an ongoing commitment by the Hudson River Park Trust to present free and low cost cultural, artistic and educational programming for all visitors to the Park's Manhattan's waterfront location from 59th Street to Chambers Street, on the west side. "There is nothing quite like sunset on the Hudson River in the summertime," said Madelyn Wils, CEO and President of Hudson River Park Trust. "It is a privilege to launch with the support of The SHS Foundation, Hudson River Park's first-annual dance festival, with such diverse and extraordinary dance companies. We invite everyone to join us this June to experience these exciting, beautiful and spirit-lifting works of art that celebrate life and our connection to the world around us." New York Theatre Ballet will perform Legends & Visionaries 2015 from June 18-20, 2015 at Danspace Project, 131 E. 10th Street, NYC. Performances: Thursday, Friday and Saturday at 8:00pm. Tickets are $20 ($15 for Danspace members), and are available online at www.danspaceproject.org or by calling OvationTix/TheaterMania at 866.811.4111. 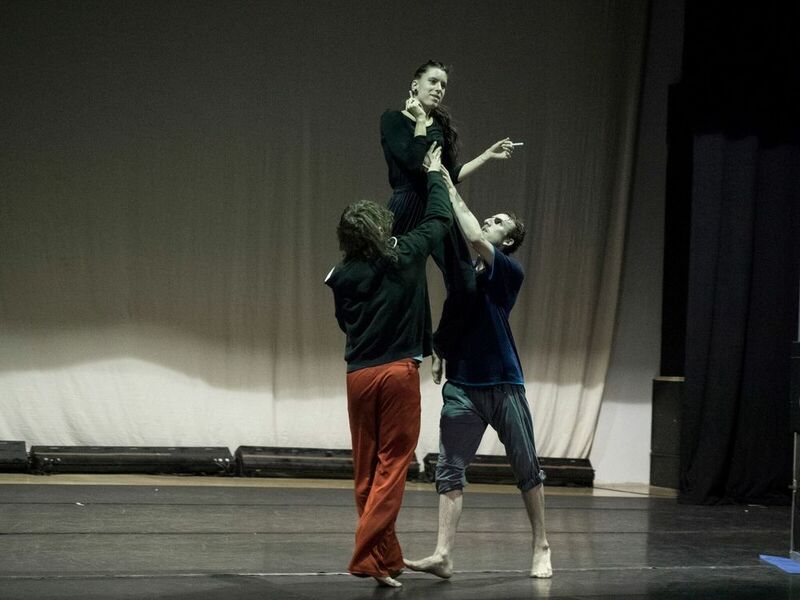 New York Theatre Ballet will perform Richard Alston's Such Longing, Frederick Ashton's Capriol Suite, the World Premiere of Gemma Bond's Cat's Cradle, a new, as-yet-untitled work by David Parker, and Antony Tudor's Dark Elegies. Richard Alston's Such Longing is danced to the music of Chopin, not pretty waltzes or the great virtuoso fireworks but achingly beautiful meditations from his Nocturnes and Etudes. Filled with longing for Chopin's Polish homeland, this lush and lyrical music floods through tender duets and introspective solos for two couples. Frederick Ashton's Capriol Suite will be performed by the full company. Elena Zahlmann will perform a solo by David Parker and Dark Elegies will feature Rie Ogura, Elena Zahlmann, Carmella Lauer, Choong Hoon Lee and Stephen Campanella. New York Theatre Ballet will celebrate their first season in their new home, and honor longtime friends Richard Alston and Valda Setterfield at a Garden Party on opening night, Thursday, June 18, 2015 at 6pm at St. Mark's Church-in-the-Bowery, 131 E. 10th Street, New York City. The evening concludes with a performance at 8pm of NYTB's Legends & Visionaries 2015 at Danspace Project, 131 E. 10th Street, NYC. Tickets are $200 ($100 for children), and include both the party and the performance. Please contact admin@nytb.org to purchase. The School of American Ballet has announced the Workshop Performance Benefit 2015 on Tuesday, June 2, 2015. The evening begins with cocktails at 5:30pm in Juilliard's Morse Hall, followed by the performance at 7pm in the Peter Jay Sharp Theater at Lincoln Center. A seated dinner at 9pm at the Mandarin Oriental will conclude the evening. The Workshop Performance Benefit 2015 is The School of American Ballet's most anticipated event of the year. The annual Workshop Performances are SAB's only public performances and a rare opportunity to get a sneak preview of the ballet world's up and coming young stars. A Benefit Dinner follows the Tuesday evening performance at Lincoln Center, and attracts more than 550 arts patrons, corporate VIPs and New York's social elite. This year's event is headed by Chairmen Michele Barakett, Linda Daines, Hillary Lane Hochberg, Nell Kleinschmidt, and Max R. Shulman; and Young Patron Chairman Stephanie Linka. This year's benefit will celebrate the legendary Rudolf Nureyev and commemorate the 20th Anniversary of the Rudolf Nureyev Dance Scholarship. At the peak of his career, Mr. Nureyev spent many hours in the classroom, polishing his technique alongside SAB's students in Stanley Williams's acclaimed advanced men's class. In 1995, the Rudolf Nureyev Dance Foundation generously presented the School with funding for an annual scholarship to support promising students in honor of Mr. Nureyev's affinity for SAB and Mr. Williams's teaching. In 1964, Alexandra Danilova, George Balanchine's former classmate at the Imperial Ballet and a leading ballerina of Diaghilev's Ballets Russes and the Ballet Russe de Monte Carlo joined SAB's faculty. In 1965, Madame Danilova established SAB's annual year-end Workshop Performances, giving the School's advanced students an opportunity to participate in professionally staged, publicly performed productions of classic ballet works. Since its inception, the Workshop Performances have seen hundreds of SAB's advanced students make their public debut as they prepare to leave SAB and go on to dance on the world's top stages. The New York Times coined Workshop a "spot-them-before-they-are-stars showcase". Scores of notable SAB alumni have performed at Workshop, including Merrill Ashley, Peter Boal, Maria Kowroski, Lourdes Lopez, Sara Mearns, Benjamin Millepied, Ethan Stiefel, and Wendy Whelan. The post-performance dinner has evolved through the years, from an intimate gathering hosted by SAB co-founder Lincoln Kirstein at his Gramercy Park townhouse into a festive fundraiser held in the SAB studios. The continued success of the Workshop Performance Benefit has led to the use of another wonderful New York venue.The post-performance dinner will take place in the magnificentballroom at the Mandarin Oriental with the City's iconic skyline as a backdrop. The 2015 Workshop Performances program will include 19th & 20th Century Masters (Petipa, Bournonville, Balanchine & Robbins); Harlequinade ("Ballabile des Enfants"), Choreography by George Balanchine, Music by Riccardo Drigo; William Tell (pas de deux), Choreography by August Bournonville, Music by Gioachino Rossini; The Sleeping Beauty (pas de deux), Choreography by Peter Martins (after Marius Petipa), Music by Peter Ilyitch Tschaikovsky; Valse-Fantaisie, Choreography by George Balanchine, Music by Mikhail Glinka; Stars and Stripes (3rd Regiment "Thunder and Gladiator"), Choreography by George Balanchine, Music by John Philip Sousa, arranged by Hershy Kay; and Fanfare, Choreography by Jerome Robbins, Music by Benjamin Britten. Tickets for the 2015 Workshop Performance Benefit may be purchased online at sab.org/workshopbenefit and tickets for the Saturday, May 30 performances at sab.org/workshop. The Peter Jay Sharp Theater is located at 155 W. 65th Street (between Amsterdam and Broadway). The Mandarin Oriental is located at 80 Columbus Circle at 60th Street, NYC. Flamenco was celebrated on the BAM Fisher stage for the first time, as Flamenco Vivo Carlota Santana presents two programs of original works by acclaimed contemporary flamenco artists, performed with 6 live singers and musicians. This studio was founded 32 years ago by Carlota Santana and it is one of the oldest studios in USA. It contains an interesting mix of cultures by preserving the strong Spanish soul of Flamenco. We had a chance to attend a Program B on May 23-th with guest soloist GUADALUPE TORRES in her US debut, plus the Company in repertory by Angel Muñoz, Antonio Hidalgo, Enrique Vicent and Antonio López. Performance was in dark design stage, flamenco sounds everywhere. There were number of performances including both group performance and solo. I would like to mention the magic of playing with unique design dresses while dancing solo or with partner, as it was bringing its own chick to dance. So smooth moves when they have never dropped on the dresses with long tails. That was just beautiful. The most impressive were the Solo performances. Dancers were losing in a dark lights in the stage by becoming a part of the music and kind a disappearing. They like dancing for themselves, dancing as a real hero of a story by forgetting about surrounding life on another side of the stage. By the end of dance I can feel that they have sweat that much that water drops were flying in the air by each moves. So much energy, speed and emotions that I feel they were also need of some time for doing a step from the dance to reality. One of the interesting moments is the last performance, when each of the musicians also performed a small flamenco piece that came as a surprise for most of us. That was really cool ending of nice evening. So much fun and standing applauds for artists who made that beautiful evening for everyone. John Jay College of Criminal Justice of The City University of New York, an international leader in educating for justice, offers a rich liberal arts and professional studies curriculum to upwards of 15 000 undergraduate and graduate students from more than 135 nations. The Theater is dedicated to the creation and presentation of performing arts programming of all disciplines with a special focus on how the artistic imagination can shed light on the many perceptions of Justice in our society. 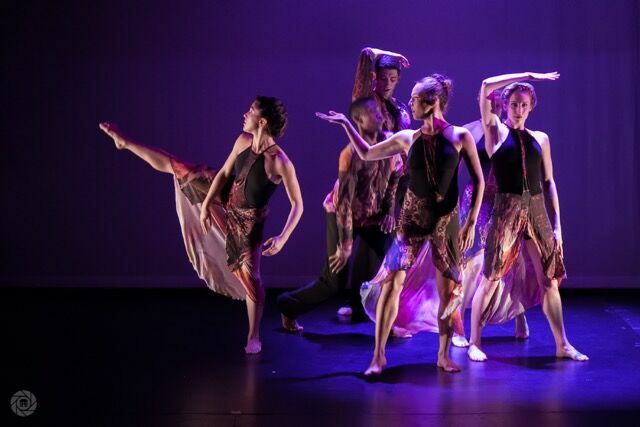 Ballet Academy East presents its Spring Performance from May 15-17, 2015 at the Gerald W. Lynch Theater at John Jay College of Criminal Justice at 524 W. 59th Street, NYC which the myNewYorkeye team had pleasure to attend on May 17th, 2015. "All the lights turned completely off and shortly they switched on focusing only on stage which reflected the magical blue and pink tones and beautiful kids standing there. Music and all the moves of dances were so light that one could feel the spring all over. During the first few performances, there were number of very young dancers and I got to know from Julia Dubno - Founder and Director, that the youngest dancers are about 7 years old! Then ocean started to move the crazy waves and dances were even crazier. As girl’s hair were not folded they felt like a part of storm and created spectacular waves of motion filling the hall with the spring craziness. Performances were mesmerising and very creative with a sweet modern touch. Also the costumes were pretty nice and perfectly matching with the atmosphere their dance created." Many guests were holding flowers for performers that was such a nice view to see in NYC, as not for all events you get to see so many flowers. We feel very happy for the kids, their teachers and all the guests who had the opportunity to enjoy this wonderful event, including myNewYorkeye.